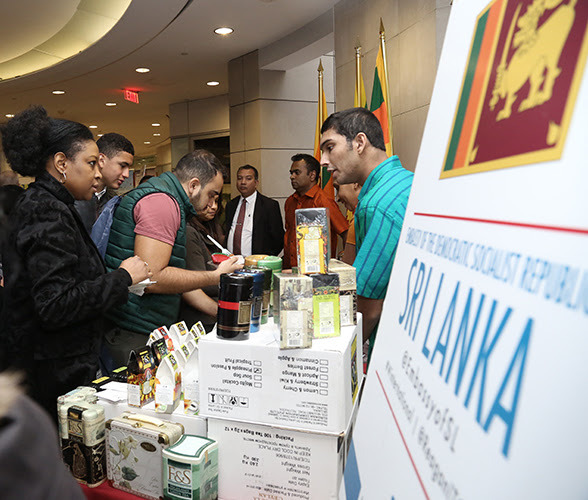 Sri Lanka participates in Annual Winternational Embassy Showcase in Washington D.C. 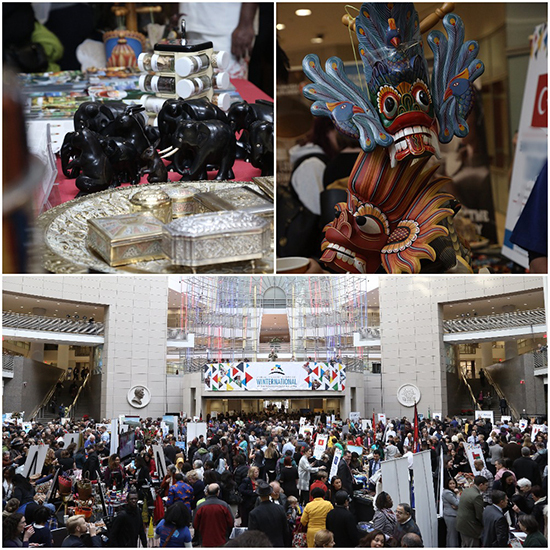 The Embassy of Sri Lanka in Washington D.C. took part in the Annual Winternational Embassy Showcase held on December 6 at the International Trade Center in Washington D.C.
Now in its sixth year, the Annual Winternational Embassy Showcase has proven to be a vibrant and successful platform for countries represented in the U.S. capital to project and promote their cultural and culinary traditions among the public. 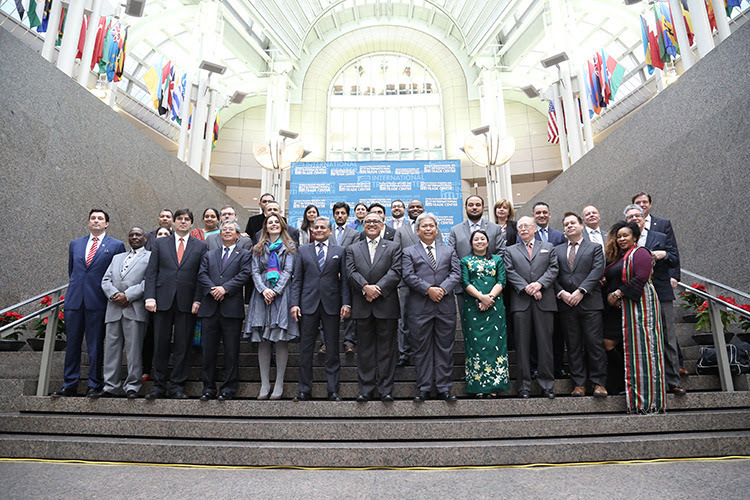 The participating diplomatic missions in this year’s showcase included – Afghanistan, African Union (representing 55 countries), Australia, The Bahamas, Bangladesh, Bolivia, Botswana, Brazil, Bulgaria, Chile, Colombia, Costa Rica, European Union (representing 28 countries), Ghana, Haiti, Indonesia, Kenya, Kosovo, Kyrgyzstan, Lithuania, Malawi, Malta, Moldova, Morocco, Myanmar, Nepal, Oman, Pakistan, Panama, Peru, Philippines, Russian Federation, Saudi Arabia, Singapore, Sri Lanka, Turkey, Ukraine, Uzbekistan and Vietnam. The Sri Lanka Embassy has been participating in the event for the past five years, making use of the “bustling global marketplace” to promote Ceylon Tea and Sri Lanka as a holiday destination; and the display of eye-catching and colourful Sri Lankan handicrafts have proven to be a crowd magnet over the years. 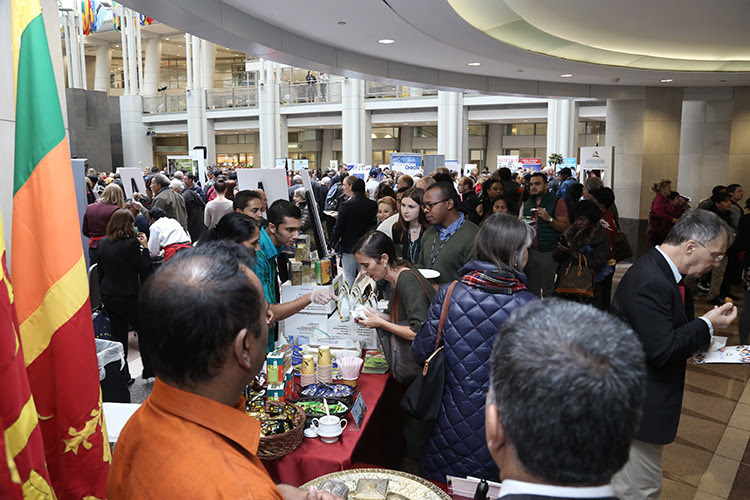 Visitors to the stand were served a popular Sri Lankan snack and a cup of Ceylon Tea. The tea was provided courtesy of Euro Asia Corporation (Pvt.) Ltd and Dilmah Ceylon Tea PLC. Over 3000 visitors attended this year’s event.